I haven’t found that guy yet. He must be a slick Jerry Maguire type. Instead, maybe it’s a woman like the oracle character from the Matrix, who just “knows” what is going to happen. Regardless, I’m dying to speak with this person and find out how they perpetuated the fraudulent idea that one year contracts are preferred. Try to find a text-book that teaches one year contracts are better, or spend a few minutes on your favorite search engine. It’s simply not there. When I consistently hear “We only do one year contracts”, I just shake my head. Your office lease is 5 years or the mortgage on your building is at least 15 years. The note on the company vehicle is probably 4 years. Even your cell plan is 2 years. So, the reality is that almost nothing you do is a one year contract. One year contracts are disruptive. By the time you get a contract made, you’ve got just 8 months before you start evaluating vendors and options for the next. Yearly transitions to new products or services are time-consuming and painful to business. For example, try moving offices each year. One year contracts are expensive. Vendors don’t blink when you just want a one year contract because they know their margins are better than discounted multi-year contracts, and most businesses rarely review and often just automatically renew each year. The common objection is the concept of “lock-in”, but in actuality you’ve usually locked in a better price and should definitely have some performance and cancellation “escape hatch” options in any contract. Unless it’s a totally different category or technology, I challenge you to find any service that you pay less for now than 5 years ago. If you’re worried about multiple year contracts with that shady LLC or new startup, then that means you shouldn’t be doing business with them any way. 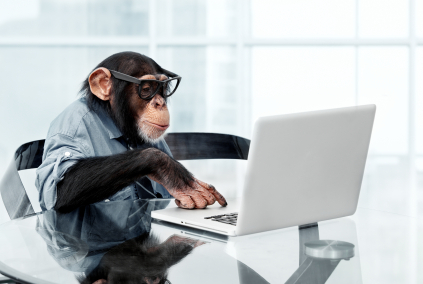 Don’t be the usual office monkey doing the same tricks over and over. Stop blindly doing one year contracts and start reviewing multi-year options.